The Hon. 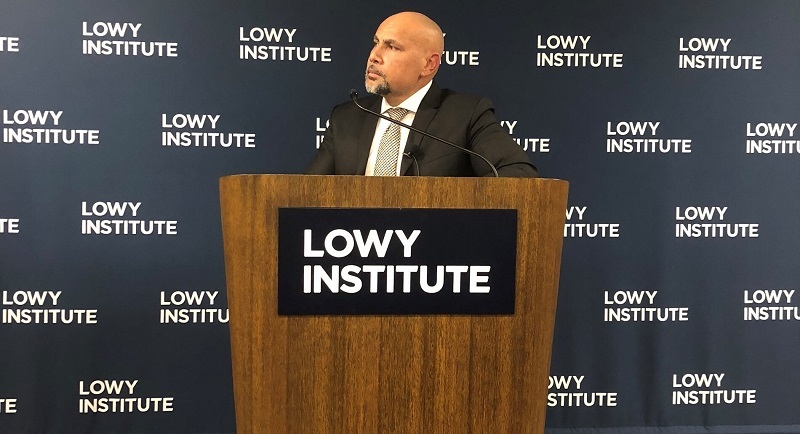 Charles Abel, Deputy Prime Minister and Treasurer of Papua New Guinea, delivered this address at the Lowy Institute, Sydney, on Monday 18 June 2018. To the Chairman Sir Frank Lowy AC and Board, Executive Director Michael Fullilove, experts and operations staff, and Jonathan Pryke, Director of the Pacific Islands Program, thank you for the invitation. Invited guests, friends of Papua New Guinea, and the media, good evening and thank you for the opportunity to address you here at this wonderful institution, the Lowy Institute. The good man Jonathan Pryke has invited me several times over the years, and I’m pleased to finally be here. I did attend when Prime Minister Peter O’Neill gave an address on Papua New Guinea in the Asian century on 14 May 2015, at which time I was the Minister for National Planning. I want to thank the founders and supporters of the Lowy Institute, and the hardworking staff over the years since 2003 for providing this platform for leaders from the Pacific, and for the very useful information you publish from time to time. I note the Seven Snapshots of a Nation that was launched by Jonathan at the University of PNG’s Update 2018 series last week, and the contributions by Bal Kama, Paul Barker, Sinclair Dinnen, David Osborne, Christopher Hoy, and Robert Harden. I gave the opening address at the PNG Update, and much of what I say here will be of a similar nature, as I comment on the economy, APEC, the Australian relationship, my views for the future, and some selected highlights, without taking too much time. But before I do, I will take the time to once again to express the gratitude of the government and the people of PNG for the support of Australia through thick and thin in the past, today, and into the future. Australia has been a genuine friend to PNG and it goes without saying that a successful PNG is very much in both of our interests. I stand here as the Deputy Prime Minister and Treasurer of a beautiful and blessed country, but a country also beset with a myriad of challenges, of which you are well familiar. The task of maintaining a functioning democracy, political stability, policy quality and consistency, and delivering effective, tangible outcomes in a country 43 years out from independence, with 800 scattered tribes in a difficult terrain with volcanoes and earthquakes, transitioning from tribal society to the internet age, has been difficult to say the least. We don’t want to keep making excuses, but it is a significant contextual aspect which makes some of the achievements to date more remarkable than we would otherwise be given credit for. A general highlight in this context is sustaining democracy in the first place, or the PNG version of it. One of the points I made last week which is noteworthy is the sustained period of political stability from 2002 to today, prior to which there was at least one or more changes of government per electoral term. The National Alliance–led government under Sir Michael Somare completed almost two full terms. This was due in part to the Mekere Morauta government–instituted legal changes that limited movements of members of parliament between parties. These provisions were since deemed unconstitutional. The O’Neill–led governments of 2011/12 and 2012–17 have been sustained under the relatively original provisions of the constitution, and been the first to survive a full term of parliament with the full freedom of movement of members of parliament. Democracy is a prerequisite, and some semblance of political stability is a prerequisite also, for holistic development. The experience since independence, in the constant changes through motions of no confidence, made it extremely difficult for any sort of constructive governance. It would be naive to conclude that the PNG party system has reached political maturity, although it is improving. Much of the credit goes to the political leadership of Prime Minister O’Neill. Political stability is important, but not at the cost of political entrenchment, of course. The mechanism of motions of no confidence are fine, but the various hurdles, such as the number of members required to sponsor a motion, must not be so low as to make it potentially frivolous. The weak party system that we still have, in conjunction with an easily activated no-confidence process and short grace periods, can lead to election mandates being usurped and political management being the order of the day rather than constructive governance. So political stability under our Prime Minister has enabled us to test our policies in the last six years. We are also able to compare these with the NA–led government which was in power for nine continuous years, or compare them with other governments. At the very least, we have had a primary basis for governance, unlike in the past, and we must take best advantage of this to progress reforms and development. The NA government, particularly in its second term, enjoyed huge revenue flows from a commodity boom and built up large trust account balances that unfortunately, and despite some good intentions, were rapidly spent without much to show for it. When I came in as planning minister in 2012, the sweep taskforce was investigating much of the abuse that had happened at the Department of Planning, and we had to review the method of pooling and distributing funds from programs, such as the National Agriculture Development Plan, RESI, and Social Development Program. Despite the wastage, the NA government got debt down and delivered the PNG LNG project. The current low-price environment is revealing some flaws in the project agreement, and of course we did not provide for domestic market obligations or local content obligations; nevertheless, this is a massive achievement which will bear more fruit one day. The 25-point plan responds to these project agreement flaws and the general quandary, and why, despite a large current account surplus, we face revenue and foreign exchange shortages. The other obvious question posed is why we continue to support arrangements that send our oil and gas offshore, only to import refined petroleum products back in and look to Forex to pay for it. Imported crude oil and diesel incur the highest Forex bills for a single imported product, followed by rice. I will just jump sideways now and veer off before coming back to the PNG coalition experience and the economy. The fastest way to progress a nation is to enable its people. The primary enabler is a quality education. This is only made more evident in the information and technology revolution we are experiencing today. I’ve had an opportunity to travel to the United States, Asia, and Israel recently. One thing which continues to strike me as I compare countries is that we have one of the best education systems in the world on our doorstep, in Australia. Of course, PNG needs to build its own international-standard education system, but as an accelerator to that I really believe we need to integrate our education system more with the Australian system to take better advantage of it. The development assistance from Australia to PNG should have education as its primary focus, and this should comprise, in the shorter term, of providing 500 to 1000 places in Australian boarding schools per year for the highest achievers from Grade 9. There should be a large program placing Australian lecturers in our universities and teachers in our schools, and vice versa. I have written to High Commissioner Bruce Davis on this, and will take it up with my counterpart Treasurer Scott Morrison and Foreign Minister Julie Bishop when we meet this week. The people-to-people engagement between our countries that we always talk about needs more realisation. Papua New Guineans should have visa-on-arrival status for tourism, short-stay purposes and family visits, in the same manner we grant this status to Australians coming into PNG. There should be more Australians in PNG and more PNGs in Australia. We need to accelerate the education of our young people, the quality of English spoken and written expression, and the adoption of the latest technology and systems by greater interaction with the Australian people and education system. This is the help we need while we also build the PNG system. Four or five hundred Papua New Guineans returning per year from the Australian high school or university system is the fastest way I can think of to create the critical mass of a middle class to feed into leadership, bureaucracy, and business innovation. Another significant and related accelerator in terms of global integration and access to knowledge and education is a modern ICT infrastructure network. 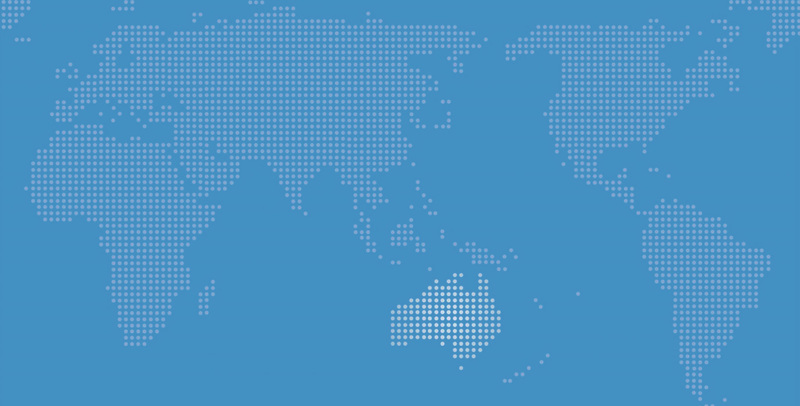 The new 20-terabyte cable from Sydney to Port Moresby, and the domestic submarine cable and terrestrial fibre-optic network are critical. Access to cheap, speedy internet means access to knowledge and education – it’s a no-brainer. Cheap and accessible electricity and internet at village level is transformative. It’s a part of the 25-point plan, and the procurement of the international cable is underway, again with the help of our Australian friends. Phase 1 of the National Broadband Network is almost complete, with Phase 2 under consideration, and we have signed up for the construction of the domestic submarine cable which will also provide an international gateway to Asia through Jayapura, Indonesia. Events such as the 2018 APEC meeting are also about global integration, participation, and knowledge sharing. We need modern capital and technology to develop. It is a bold undertaking by our small country to introduce ourselves to the world, and we are committed to it. We need to take full advantage of it. The obvious point I’m making here is the importance of education and an educated population. It is the key because we have all the other elements necessary in the development equation. The standard of our human capital is hindering the speed of the transformation to a modern economy, delivering the minimum socio-economic standards. I say these things also in terms of the relationship between our two countries, and the need to respond to the dynamic of the rise of the Asia-Pacific and China as a global power. We need to be fully aware of this in terms of the opportunities and challenges it represents. The traditional relationships, development assistance, business, and trade are all shifting. Australia and the United States need to step up and respond. The geographical proximity and shared bonds of history between us means we can respond from a people-to-people and relationship basis. We want trade and investment. We appreciate concessional financing. But we also hold dear democracy and its principles and institutions. We like free press, freedom of speech, and human rights. Many of these foundations remain fragile, and we need our traditional partners to remain fully engaged in the region and with us. When the O’Neill/Namah and then O’Neill/Dion government took power, we began a deliberate program to create a larger resource envelope and invest heavily into infrastructure, education, health, and law and order. This commenced with the tuition fee–free policy in 2011. The government pursued a policy of deliberate deficit budgets to continue fiscal stimulus after the PNG LNG construction phase, and to bridge the gap until production began. There was much excitement and anticipation leading into first gas delivery because it was touted that our revenues would double. Well, it’s an old story now that oil prices collapsed immediately after production commenced. We then faced the El Niño drought and devastating earthquake and national elections. The good news is that there have been significant and visible improvements in our productive capacity through infrastructure, in terms of roads, the major seaports and airports, hospitals and schools. This stimulates the economy and makes services more accessible. Our economy is slowly becoming more diversified, and revenue reliance on the mineral and petroleum sector has greatly reduced. The bad news is that against the growth in GDP, particularly related to the PNG LNG project, against which we spent many hundreds of millions for the equity investment and landowners’ commitments, we have not had the corresponding revenue growth whilst the interest burden and cost of the public service has grown. • meet our commitments to free education, health, and the provincial governments and districts. It should not be forgotten how the 2017 supplementary budget took the difficult decision to cut provincial and district grants under the DSIP/PSIP funding by 80%. The 2017 final budget outcome has reported a 31.9% debt-to-GDP ratio and 2.4% fiscal deficit based on our response to maintain the parameters of the 2017 budget and maintain fiscal discipline. We need to continue to give due attention to institutional governance, especially around accountability and procurement and corruption. The Prime Minister will be making some announcements shortly on the activation of ICAC. The 25-point plan has elements that address procurement and reporting. The sweep of government accounts through the Public Money Management Regularisation Act I introduced with the 2018 budget has not only raised significant revenues that we can use for front-line services, but also reduced our domestic financing costs, as we were previously borrowing this money back through treasury bills from the banks who held these surplus funds. The government is also committed to getting a fairer share of returns on our natural resources whilst appreciating the significance of resources, such as our forests, tuna stocks, and biodiversity in a global sense, as explained in the National Strategy for Responsible Sustainable Development (STaRS). The Alotau Accord highlights the high population growth rate as a development priority, and new programs in health with the World Bank and the ADB emphasise access to family planning in conjunction with our good friends in the UNDP, and NGO partners. With the impact of our 25-point plan interventions coming through, as captured in the 2017 supplementary and 2018 budgets, and the oil price sustaining above US$70 per barrel, the indicators are looking promising. If it were not for the massive earthquake affecting gas, oil, and gold production, at current prices we were certainly looking at outdoing the 2018 budget revenue projections. We will publish a mid-year financial outlook report shortly to see how we are tracking. We have had some tough times, and that is exactly why government responded as it did straight after the elections. I believe the APEC event will cap off a year of recovery for our country in spectacular fashion. APEC should be a culmination of sorts of an effort to bring focus, investment, tourism, and engagement to PNG and the Pacific through events such as the APC parliamentary meetings, the Pacific Games, and FIFA U-20 Women’s World Cup. Apart from the general engagements, specific proposals are being prepared for prospective investments, climate or green funds, grant and concessional funding at APEC. Ladies and gents, I will conclude my remarks here, but as I wrote in STaRS, Papua New Guinea needs to deliberately transition to a new socio-economic paradigm by slowing its population growth rate, accelerating the education of its people to international standard, and – based on 15% of the world’s tuna, its third-largest rainforest, 8% of the world’s biodiversity, fertile soil and abundant water, and 800 cultures – build an economy that feeds and energises itself and exports surplus food, power, and climate stability. Mineral and petroleum resources are to be partially converted into a sovereign wealth fund, from which only rents can be extracted, not capital. It should certainly be an aspiration anyway. Let us all continue to work together for a prosperous and stable region, and for a prosperous and stable Papua New Guinea. Australia and PNG have a very special bond and that will not change.